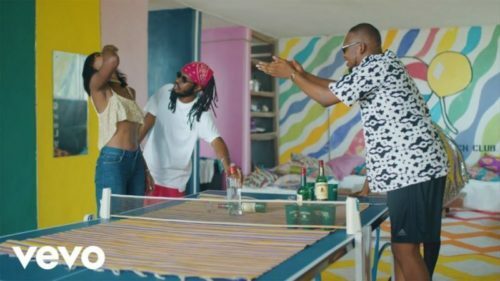 Here is a new video from Ajebutter22 & BOJ – Tungba video out on NaijaMusic. Top Nigerian rapper Ajebutter22 in collaboration with BOJ premiere the visuals to ‘Tungba‘. The song is lifted of their joint EP titled ‘Make E No Cause Fight‘. The music stars go simple with the visuals but manage to amplify the African theme of the song. The video was shot and directed by Director Kay. Watch Ajebuttter22 & BOJ – Tungba video below. Enjoy & share!